Experience the Home Team Advantage™ with your local Reliance™ Toronto team of skilled award-winning professionals. At Reliance™, comfort is our calling and providing outstanding comfort solutions to Canadians is our goal. We strive to deliver best-in-class customer experiences; that means we're committed to you, our customers, offering 24-hour call support – so we're always there when you need us. Our Home Comfort Advisors are happy to answer all your questions about heating, cooling, and hot water. In addition, we offer a full range of expert services to keep your home comfortable, like plumbing services, preventative maintenance, regular tune-ups, repairs and more. What sets us apart more than anything? We think it's the passion and commitment of each of our team members. After all, what motivates us most is making you and your neighbours feel comfortable, at home, at work and in our shared communities in Toronto and surrounding areas. Rely on us to help you find the right system for your family’s needs, and don’t forget to tell your family, friends and neighbours about Reliance – it’s our goal to make Canadians feel comfortable in their home, work place and community! Hi, I’m Sam. 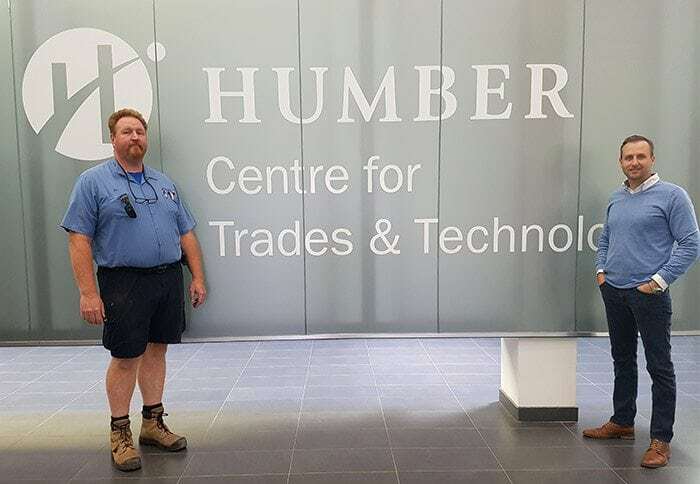 As a Humber College Business graduate and Licensed Plumber I have spent many years in the Residential and Commercial industry. As a private contractor I have been involved in the many areas of home renovations gaining the knowledge required for residential home construction, materials and products. With many years of experience and knowledge in the public retail sector, I have made it my focus to help guide customers in the right direction, understanding their needs and helping them make the right choice for their home. When I’m not working, I enjoy playing tennis, hockey, baseball and soccer. Under the Ontario Soccer Association I was a Level 3 certified Coach and Referee. If you have any questions about your furnace or air conditioner, feel free to contact me. Hello, my name is Patrick Mazza. I’m a senior Home Comfort Advisor, privileged to work for RELIANCE HOME COMFORT for the past 5+ years and counting …. I’ve lived and worked in the Toronto area most of my life and am fluent in both Italian and English. I have 30 years of experience as a licenced HVAC Technician, specializing in older, complex Toronto homes. I’m all too familiar with their unique quarks and needs. Hi there, my name is Momo Zeremski and I’m a Home comfort advisor for Reliance in the GTA. I have been working in HVAC industry for a quite long time but my personal dream was to be part of the Reliance team. I believe in the Reliance philosophy and approach toward excellence in customer service – from detailed and dedicated installation quality, to some of the best warranties and guarantees in the industry – working for such a great company has given me the personal strength to work with customers in a transparent and honest way – open to answer any questions knowledgeably and with ease, knowing I’m working for a brand that stands behind its products. I’m proud to offer my customers the biggest benefit in heating and cooling business - Peace of mind! Before I started to work in the field on behalf of Reliance I had to finish some very demanding and thorough courses – ensuring I knew all the ins and outs of the HVAC industry, from product knowledge to sizing products for residences for the best fit and optimal energy efficiency. As a team, we are working very hard to satisfy every single customer. When I’m not at work, you can find me out jogging. I am a very passionate and devoted jogger, I find that it helps keep me centered and gets me ready to start my day with excitement and the energy to provide excellent customer service. If you have any questions about your heating and cooling system, contact me today. I’m sure you’ll be impressed with our selection and value. Hi, I’m Stan - I’m a Home Comfort Advisor in Toronto. I have 12 years of experience providing home comfort solutions. I am fully trained and certified in all heating and cooling systems. I’m available to support your needs before, during, and after installation. Don’t hesitate to contact me with any heating or cooling questions. Hi I’m David. I’m a Home Comfort Advisor in Toronto. I love meeting new people and helping them find the right heating and cooling solution for their home. We have something for everybody, I pride myself in finding the right fit for your family and your budget. The right heating and cooling equipment will not only help make you more comfortable in your home, it can also help save you money on energy bills. With a wide variety of products and payment options, I can help you find the right system for you - backed by the best company in the industry. Hi, I’m Dustin. I started in HVAC business with my dad and he taught me how important honesty and quality are to delivering a premium customer service experience. I have worked for many years in this industry and I believe Reliance is truly unique with our level of customer care. I couldn’t be prouder to be part of the trusted Reliance Home comfort Team! My name is Brandon Pringle, I’m an HVAC specialist who studied politics at Queens University and lives downtown Toronto. I’ve been working for Reliance for over two years and have been involved in Home advisement as a college pro painting franchisee for several years before this. I enjoy getting to meet and help various people and families around the city, I have learned a lot from the different clients that I have had the privilege to serve and hope that they have also learned a lot from me! From old homes that have been through many renovations to tiny apartments, Toronto proves to be a tricky area for HVAC systems. I’ve come to understand the unique needs of Toronto homes through experience in many different homes, each one with its own opportunity to learn and customize solutions. Whatever it is that you need help with I have seen it all and will use all of my knowledge and experience to find a solution that the right fit for your home and budget. Also if you want to talk local events, sports, travel, or complain about traffic I can accommodate! Hi, I’m Alec. I’m a Home Comfort Advisor in Toronto and surrounding area. I am very proud to say that I work for the best heating & cooling company out there. As someone who knows all of the ins and outs of Toronto and has more than 10 years of experience in energy efficiency technology, I am proud to help you find a home comfort solution that is tailor-made to fit your needs. Toronto and its many surrounding communities are our home too. That’s why we’re active in the community, as citizens and as part of the Reliance team. Our Reliance team members delivered used hot water tanks for students in the Plumber Apprenticeship program as an opportunity for them to acquire real-life learnings and hands-on experience. At Reliance we strongly believe in investing in the communities that we work and live in – keep up the good work team! Reliance strongly believes in invested in the communities it services. We are a strong supporter of United Way and Habitat for Humanity. 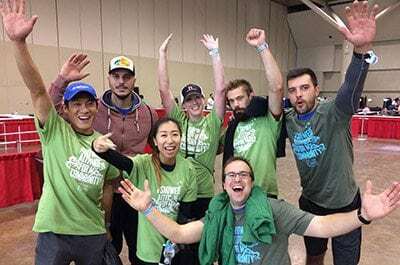 In 2015, Reliance Toronto team members rolled up their sleeves, put on hard hats and safety shoes to hammer nails and paint walls, so that deserving families can afford a comfortable home. Our team donated and helped build 18 units as a part of this habitat for humanity initiative. Our team members work hard and play harder! 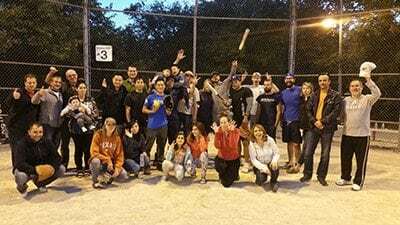 As part of our fundraising initiatives for United Way, our team members and their families took part in a friendly baseball competition – our sales team against our operations team and installers. Family and friends cheered on as we successfully raised over $1,000 for United Way through the sale of hotdogs, burgers and pop. 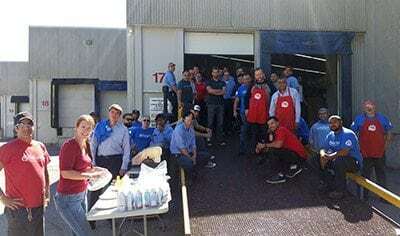 Branch managers hosted a barbecue at our local branch office for all team members in the area. We incorporated some fun events to engage the team and raised $300 for United Way. Our local branch auctioned off the management team – offering the highest bidder the chance to dump a pie on the face of the manager. The event was a fun-filled success and raised over $500 for United Way. "My furnace stopped working on Thursday, Jan 21. Ron from Reliance checked it out and recommended replacing. (It was at least 25 yrs. old). Jason Rowe advised me of the best systems for my house. I also needed a new A.C. unit. Both units were completely installed by Friday evening. Installers Rob and Pat did a fantastic job. I was very impressed by the whole experience and would highly recommend Reliance for anyone who needs replacing or servicing home comfort equipment." "Had a great maintenance visit from Sam today. Very customer focused, gave honest guidance about maintaining our furnace and air conditioning without trying to sell us on any unneeded repairs or purchases. And Sam is quite personable also. Makes me glad I requested this maintenance check-up. Thanks Sam!" "Discovered I had no hot water at around noon. Called to book a service call and was given an estimated time of 4 - 8 PM that day. Sam arrived at around 6:45 and quickly figured out what the issue was. Within about 10 minutes he had replaced the faulty part and I had hot water again. Excellent service from both Sam and the woman who booked my service call." "Technicians were very polite, came on time. Installation was quick...communication was great. I do recommend Reliance Company to my friends and the installation guys. Thank you Stan and the great team you sent to my home." "Good service. Nice salesperson. They matched my other quotes and provide good installation service. They will match your best quote but their services are better. Good company." "Did an extension on my house and wanted a ductless split to zone off my new extension. Alex B came and helped me out. He was very helpful and got me the right system for my home. Appreciate the help!"